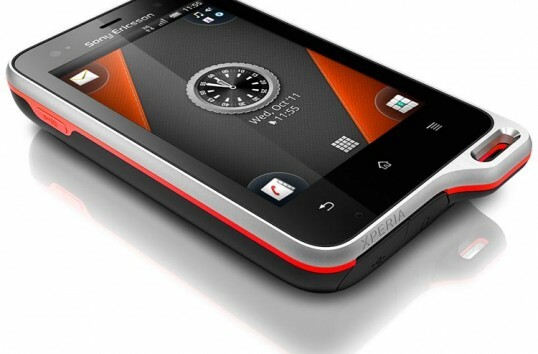 Sony Ericsson has added two new smartphones to their lineup this time. Announced at CommunicAsia 2011 in Singapore these devices will ship in Q3 to select markets. As always we will try and get the accurate launch details for you guys as and when we get them. 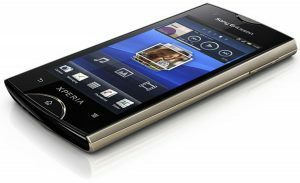 22 June 2011, Singapore – Sony Ericsson today announced Xperia™ ray – a stunning new smartphone alongside CommunicAsia 2011 in Singapore. With a 3.3” screen and running the latest Android platform for smartphones (Gingerbread 2.3), the phone packs in a powerful 1Ghz processor, Reality Display with Mobile BRAVIA® Engine, a 8.1mp camera with Exmor R™ for mobile and HD video functionality. At only 9.4mm thin, Xperia™ ray incorporates market leading design for which Sony Ericsson has become known. To add to a full set of specifications, the phone incorporates a front facing camera and a scratch resistant screen with excellent resolution and brightness and integrated touch keys. Sony Ericsson’s unique integration of Facebook inside Xperia™ delivers a unique consumer experience for greater social interaction. In combination with the Google services, as well as access to over 200,000 Apps via the Android Market™, it provides a solid and entertaining smartphone foundation. Sony Ericsson Xperia™ ray will be available globally in selected markets, including Japan, from Q3 2011. Sony Ericsson Xperia™ ray at a glance. *Please note that all services mentioned below may not be available in every market. LiveSound™: Available as part of the package with Xperia™ ray in selected markets, this provides consumers with the best possible audio experience combined with a stylish, tangle-free design. Theheadphones also allow consumers to remotely access applications from the phone through LiveKey™ control, which gives consumers direct access to their applications with a simple push of a button. LiveDock™ gives consumers the ability to seamlessly integrate their Sony Ericsson smartphone into their home. By simply connecting their smartphone to the docking station, consumers will be able to easily launch applications from the Android Market™ and charge their phones at the same time. 22 June 2011, Singapore –Sony Ericsson today announced Xperia™ active, a compact smartphone targeting consumers with an active lifestyle, in conjunction with CommunicAsia 2011 in Singapore. With a 3” screen and running the latest Android platform for smartphones (Gingerbread 2.3), the phone packs Reality Display with Mobile BRAVIA® Engine, a 5mp camera with HD video functionality, and a powerful 1Ghz processor. Xperia™ active is dust proof and water resistant* and uniquely incorporates wet finger tracking, to ensure the phone works perfectly when either the screen or a user’s fingers are wet. The phone comes pre-loaded with sports apps that enable consumers to easily track their fitness levels. Users can set their ideal training route using the built-in GPS, Barometer and Compass. On-screen heart rate and pulse can be monitored in realtime (enabled by ANT+ wireless networking technology), while the iMapMyFitness app can monitor day to day performance. Additionally, Facebook inside Xperia™ allows consumers to share their progress and experiences with friends. *Water resistant – the phone can be kept under 1m of water for 30 mins. 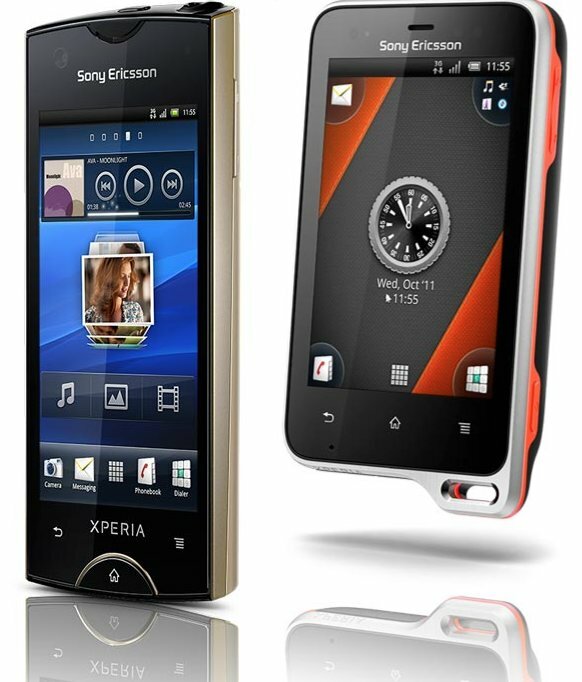 Sony Ericsson Xperia™ active will be available globally in selected markets from Q3 2011. 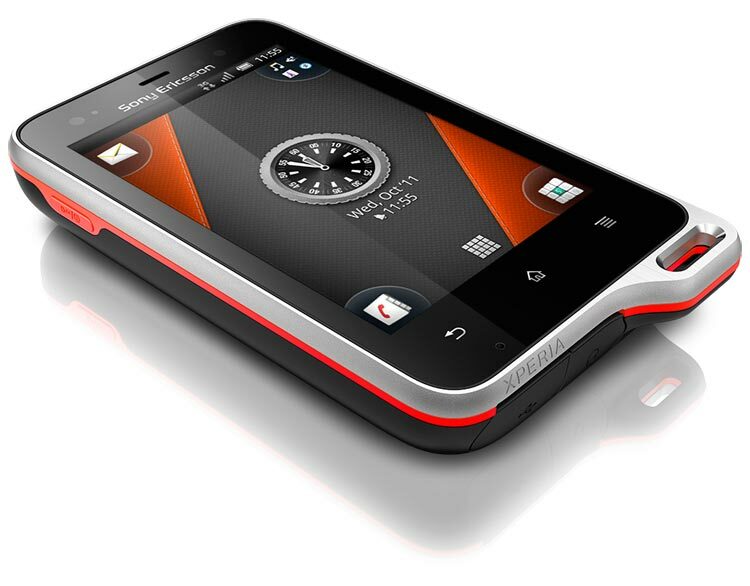 Sony Ericsson Xperia active at a glance. ** This feature is not pre-installed. *** Enhance your GPS navigation by for example measuring the height levels or to be used as barometer to provide you your local weather forecast.